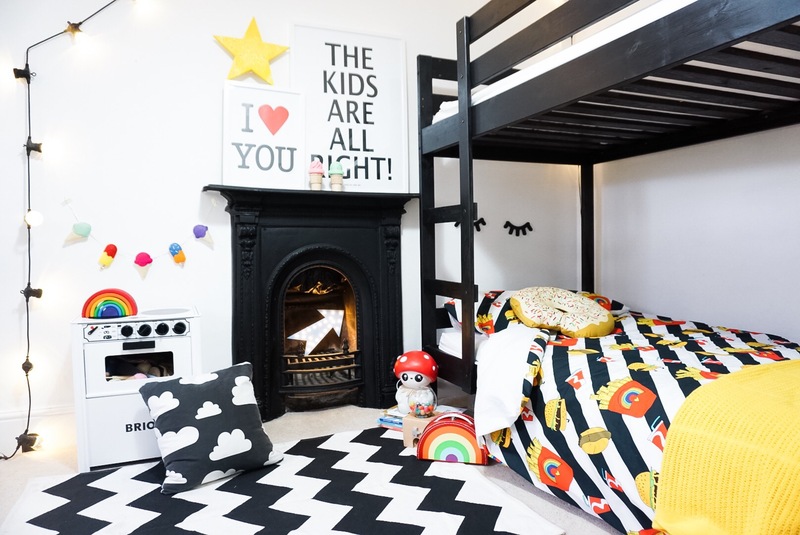 There’s an exciting new range of kids bedding in town, (well, online) and it’s got all the sartorial features we want for our children’s room. 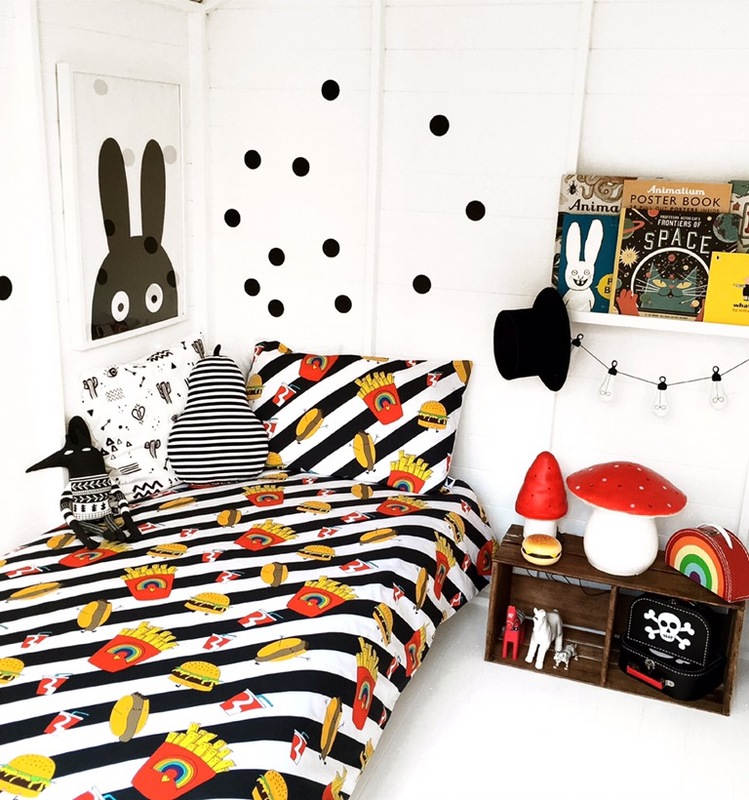 Launched by Johanna Franks through her emporium lovefrankie.com with only kids in mind, this new range appeals to our small people but also keeps design loving big people equally happy. Felix and Barney are my reliable product enthusiasts and they definitely get a massive thumbs up from them. Made from 100% super soft cotton and designed in the UK, they are kind on the small ones skin and feel luxe. 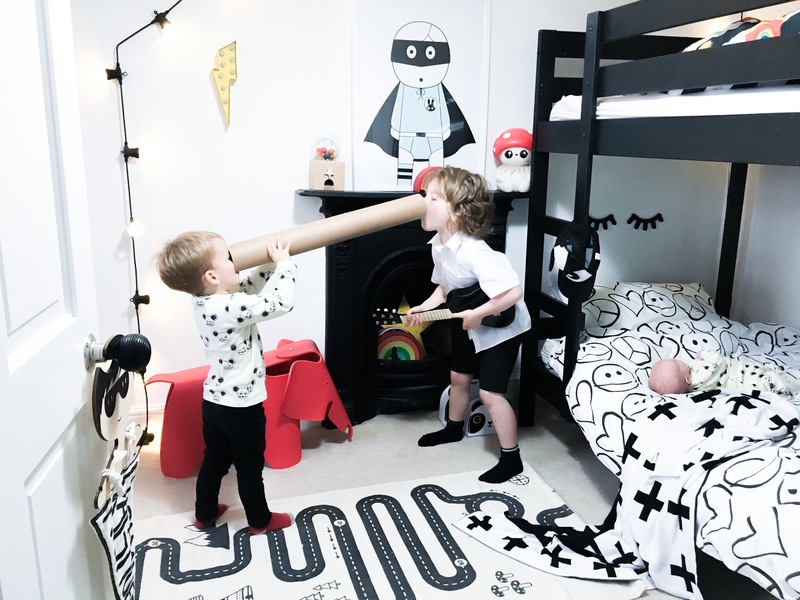 Felix’s favourite is the super colourful and fun Junk Food Deluxe set which has enough bright rainbowy goodness and tongue in cheek humourous illustration to satisfy every kid. 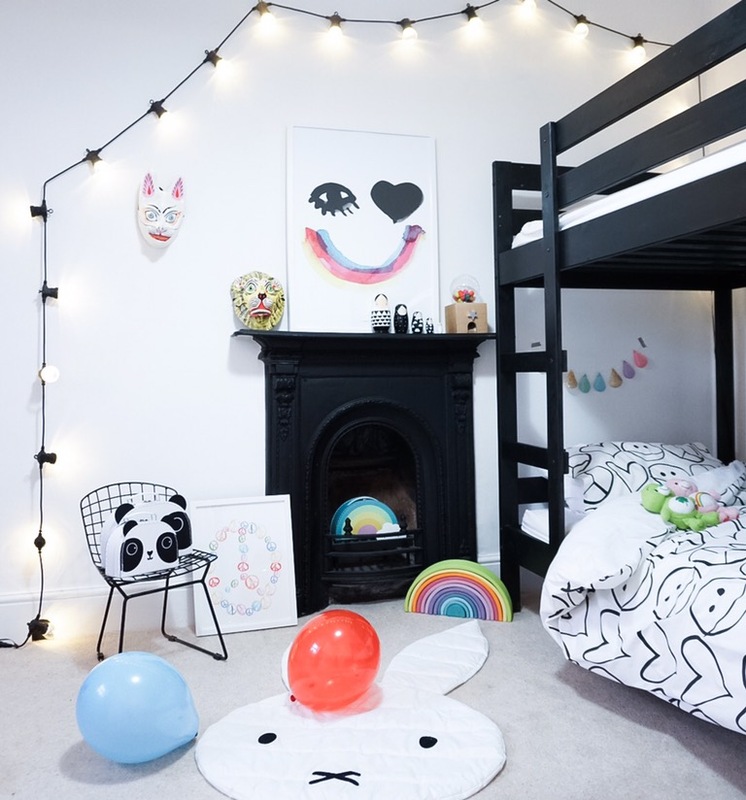 We styled it up with monochrome and pops of colour. Suppliers: ‘peace’ sign print by Wonder and Rah, Smiley face print by Pax and Hart, Garlands (Icecreams and droplets) by Velveteen Babies, Panda cases by VandC Designs, wood rainbow by Grimms Toys, Masks by Hay at StudioNL, Rainbow cases, sleepy eyes and doughnut cushion from retrokids.com, festoon lights from Lights For Fun, Toadstool Light by Tulipop World, Russian dolls and monochrome cloud cushion from This Modern Life. Check out www.lovefrankie.com for these beautiful bed sets, matching lampshades and other interior accessories.